Join us in welcoming David Schall and Craig Scully of Flight Fast Track to the PGD family. Flight Fast Track (FFT) is one of the only accelerated flight training schools in the state of Florida. They offer a 3-week accelerated private pilot course, along with accelerated courses in instrument training, CFI training, and commercial multi-engine and commercial single engine courses. FFT can also perform instrument proficiency checks and biennial flight reviews. 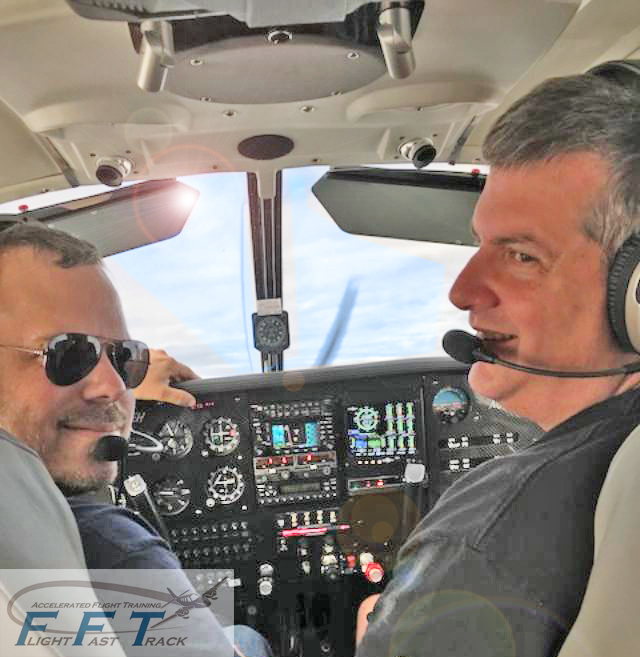 For those looking for a professional career in flying for airlines, global corporations and freight carriers, FFT even offers Airline Transport Pilot License training. Their office is located right next to the Airport Authority Board Room at 7355 Utilities Road, Unit D.